Facebook ad targeting options provide a wealth of capabilities for businesses and marketers to hone in on the ideal user persona for their campaign goals. From demographic targeting, interest targeting, behavioral and more, there are an infinite number of possibilities for showing your message in front of the ideal audience. 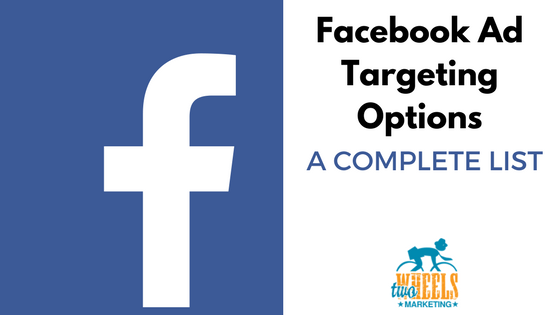 With all of those possibilities comes a cost, and that is knowing or understanding ALL of the different Facebook ad targeting options out there when you begin your campaign. 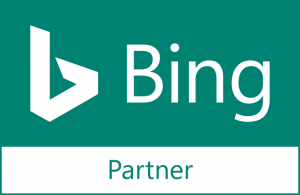 We’re not going to lie, we do this all day for clients and the number of targeting options are STILL overwhelming. One of the biggest challenges to creating new campaigns is understanding and knowing every single targeting capability within the Facebook ads interface. Within each of the Demographic, Interest, and Behavioral targeting sections, there are literally tens of hundreds of options to choose from. And within the Facebook ads interface, you sometimes have to scroll through each one of those and “drill down” to see all the available options. As a marketing agency doing this for multiple businesses, this is not ideal. One of our wishes was to be able to see ALL available targeting options on one page so we could more quickly determine the ideal audience targeting to choose for our clients. Sure, there are infographics and other sites that provide some targeting options, but we just wanted an easy to read text based outline of the targeting options so we could see them all on one “page”. New vehicle buyers (Near market): People in households that are likely to buy a vehicle in the next 365 days. New vehicle shoppers (In market): People in households that are likely to buy a vehicle in the next 180 days. New vehicle shoppers (Max in market): People in households that are likely to buy a vehicle in the next 90 days. Owners: What people in household own or are likely to buy. Purchased: People in the household purchased their current vehicle during this amount of time. Style: People in households that own this type of vehicle. Seniority: People who are in these roles. Charitable donations: People in households that will donate to one of these categories. Consumer Classification: Consumers in these countries and what type of goods they prefer. Expats: People living outside of their home country. More Categories: Any Facebook categories you have requested access to. Reach people who have a specific connection to your page, app, or event.